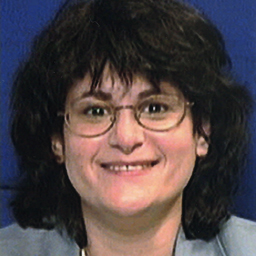 Elise Berkower, CIPP/US, a founding member of the IAPP and one of the earliest operational privacy professionals, died unexpectedly last week. She was 60. Many in the privacy community knew Berkower from her work at Nielsen, where she had served for nearly a decade as chief privacy counsel. She was also, however, part of the DoubleClick privacy team in the early 2000s that was led by Jules Polonetsky, CIPP/US, now head of the Future of Privacy Forum, and featured Nuala O’Connor, CIPP/G, CIPP/US, now head of the Center for Democracy and Technology; Teresa Troester-Falk, CIPP/US, now global privacy strategist at Nymity; Brooks Dobbs, CIPP/US, now CPO at KBM Group; Bennie Smith, now CPO at Merkle; Amanda Chandler, now global privacy manager at Vodafone, and many others. Their relationship began back when Polonetsky was Commissioner of Consumer Affairs for New York City in 1998, where Berkower was deputy chief administrative law judge. He soon appointed her as chief judge. Their work together blossomed from there, and the DoubleClick team ended up populating privacy offices around the globe. Troester-Falk, for example, ended up working with Berkower for four years at Nielsen between work at Epsilon and Nymity, and she noted Berkower was instrumental in leading an internship program both at DoubleClick and Nielsen that created yet more privacy professionals, who now populate many privacy teams around the globe. At last count, some 70 law graduates had gone through the internship program Berkower launched. Berkower was also an early supporter of the IAPP’s mission. She served on the first-ever advisory board for The Privacy Advisor back in 2006 and was vital in establishing the publication as the must-read voice of the operational privacy professional. As the Global Privacy Summit grew in its early days, Berkower was always on hand to lead practical privacy-implementation panels and presentations. Polonetsky similarly reflected that, even as Berkower struggled with health issues and the impact of living within a few blocks of the World Trade Center on 9/11, it was hard to find out how she was doing, as she was always more interested in inquiring about what was happening in his life. In the meantime, Berkower’s family held a service for her this past weekend and asks that donations in her name be directed to Planned Parenthood or American Jewish World Service.